This rare natural gold crystal is from Venezuela. It has a very unique shape. 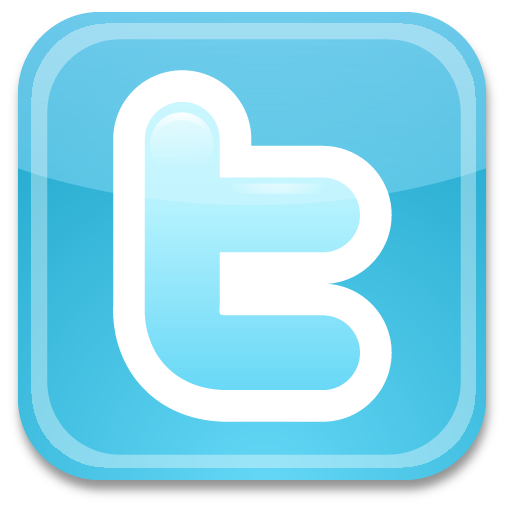 One side looks like a turkey, and the other side looks like a squirrel with a bushy tail, maybe even a peacock. 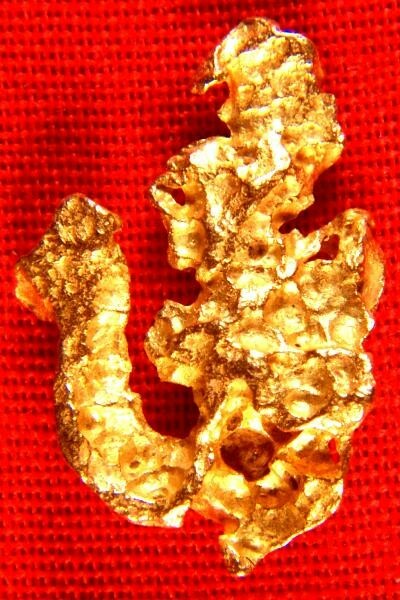 This one-of-a-kind gold nugget was recovered by Venezuelan gold miners working in the jungle of Venezuela in Zapata, just outside of Ikabaru, near Santa Elena de Uairen. The jungle miners that find these gorgeous gold crystals for a living call them "cochanos". 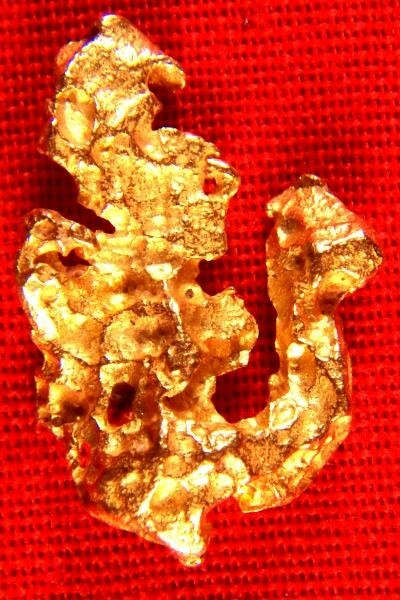 This uniquely shaped rare gold specimen is 5/8" (16 mm) long and the weight is 24.3 Grains (1.57 Grams).